and more on the blog until the end of this month! last Thursday's blog post at Doodlebug! I commented n this on the Doodlebug blog but you need some lovin here too!! 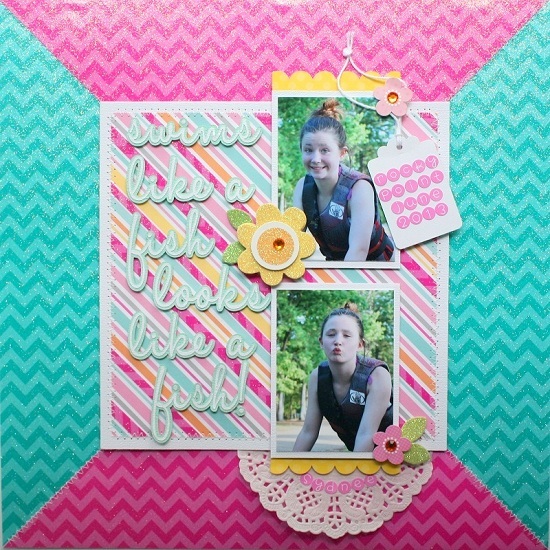 I love the way you used the sparkly chevron paper to make a background!! So very cool!! Love where you put her name on the doily - such a perfect spot! !